In a crucial game in the Atlantic 10, Mason lost to Duquesne 79-78 on Saturday, dropping to 15-12 on the season and 9-5 in conference play. After Mason led by as many as 19 points in the first half, Duquesne was able to pull within eight at the end of the first half. The Dukes took their first lead of the game with 4:53 left in the second half. After going back and forth for the few minutes, the game culminated in a Jarred Reuter three-foot shot that hit back iron and bounced off. As of late, free throws have been anything but free for the Patriots. Mason shot 53.8 percent from the line against Duquesne, but their inability to hit free throws is not something new. Over the past seven games, Mason has shot better than 75 percent from the line only once. Over that stretch, Mason has shot worse than 60 percent four times. Additionally, Mason shot only 13 free throws against Duquesne. It was their third lowest total in conference play. What makes this even more confusing is that in the second half, Duquesne picked up their seventh foul with just over 10 minutes left in the period. 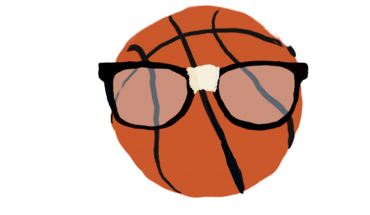 In the final eight minutes and 30 seconds, Mason did not draw a single foul. With Jaire Grayer, Goanar Mar, Greg Calixte and Ian Boyd unavailable to play, and Jamal Hartwell’s injury in the second half, Mason’s bench got even shorter on Saturday. Only eight players entered the game for Mason, forcing the starters to play heavy minutes. Off the bench, Hartwell, AJ Wilson and Jason Douglas-Stanley combined to shoot 4-11 from the field, grab five rebounds and dish out three assists. While there is still time to heal up before the A-10 tournament, it is imperative that a lack of bench production not linger into the coming weeks. With a 19 point lead 11 minutes into the game, Mason had a chance to blow Duquesne right out of EagleBank Arena. However, over the final 29 minutes, Duquesne scored 67 points en route to their victory. In the final four minutes and 30 seconds of the first half, Duquesne hit three three-point shots and forced three Mason turnovers to keep them within striking distance heading into halftime. There were multiple points in the game when Mason could have broken away from Duquesne, but they failed to take advantage of each one. 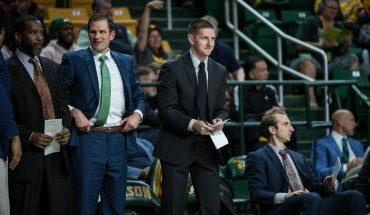 If Mason wants to consider itself a contender in the A-10 tournament, they will need to learn to close out games when they need to. Mason returns to EagleBank Arena on Wednesday, Feb. 27 to play the University of Richmond at 7:00 p.m.